We spoke about several different on pack gifts for magazines in the past and we surly will have many more interesting GWP’s like Today. The ELLE magazine currently offers a free umbrella as on pack gift, to raise their in store sales. What are the benefits of a on pack gift like this umbrella? By offering a GWP like this on pack gift, you can influence the consumer in his buying choice directly in the store. In this example the umbrella will change the customers buying behavior and they will more likely buy the ELLE magazine then a similar magazine. Besides, the on pack gift itself will let the customer think of the magazine every time he uses it. 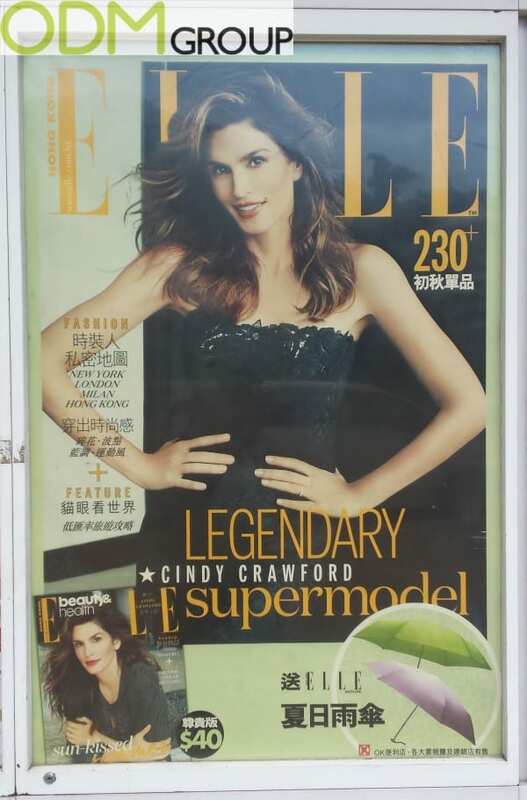 Especially in a country like China where many women use umbrellas on hot days, this will improve to customer retention of ELLE. Why using an umbrella as promotional product? When choosing the perfect promotional product for your marketing campaign, one of the most important matters is the branding space. Umbrellas offer a great branding area on the cover to print your logo, your artwork or your products on it. Furthermore, an umbrella is a common used product in daily live. Therefore branding on an umbrella will be seen by the customer very often, and besides the customer many people will see your branding in the streets. This way it’s easy to increase brand awareness and product recognition with a branded umbrella. Curious, how promotional products like a branded umbrella can help you reaching marketing targets? 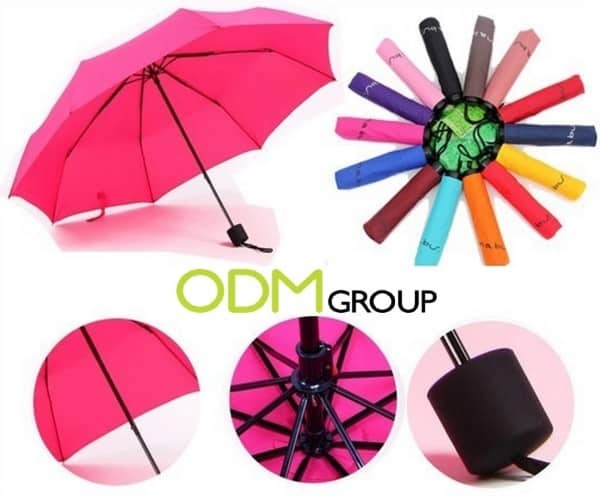 Feel free to contact us at the ODM Group to learn more about promotional items and how they can benefit your marketing.